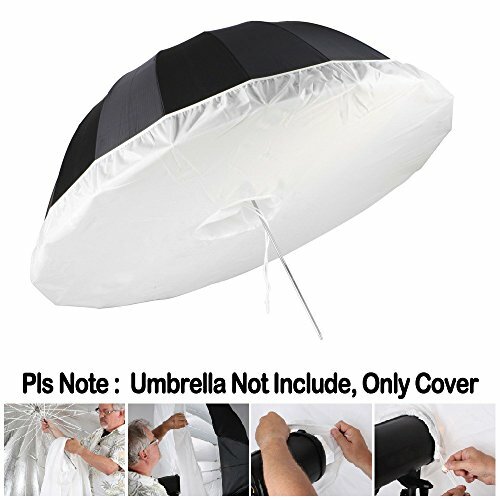 The Parabolic Umbrella Diffuser is a translucent collapsible modifier that fits over the 65 inch/ 165cm parabolic umbrella and converts it into a large softbox with just a little loss in brightness, very great for portrait,people and still photography or scenarios where you need a wide, softened lighting result. If you have any questions about this product by Selens, contact us by completing and submitting the form below. If you are looking for a specif part number, please include it with your message.